Many guests choose Vancouver Extended Stay because of our fully equipped kitchen, but from time to time it is great to take a break from cooking and treat yourself and your loved ones to a nice meal. Vancouver has so many restaurant options that it might get a bit difficult to choose; so let us make it easier by providing our staff favourites and must-try’s around downtown Vancouver. For more suggestions, come by our office for our full restaurant list (plus we are big foodies and love talking about food)! This Italian Restaurant on Robson is designed for sharing meals with their family-style setting and large plates. From their house-made pasta and sauces to their dry aged prime rib steak, they offer a high quality selection of Italian dishes. 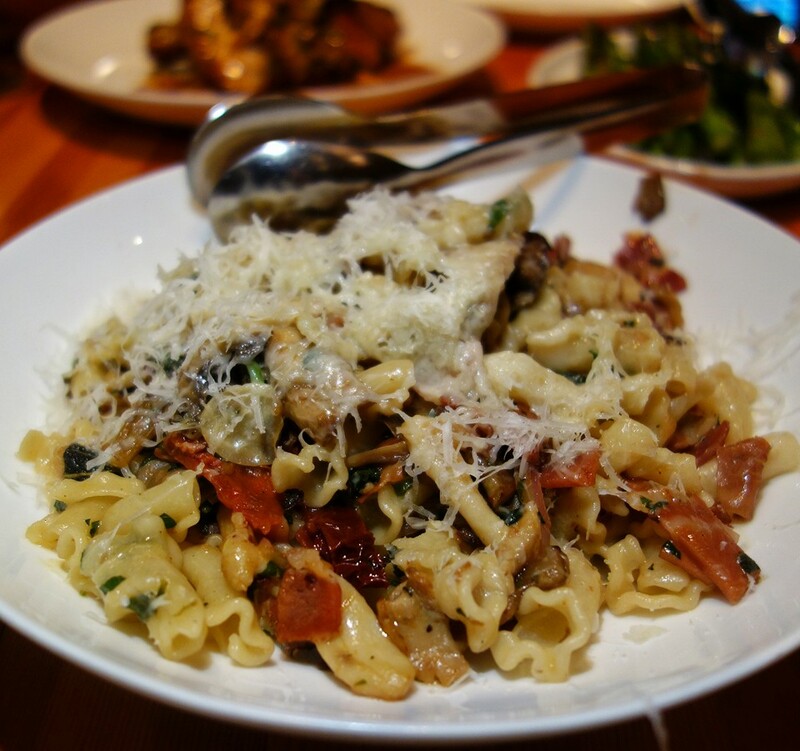 Pictured below is their Campanelle with mushrooms and prosciutto. The whole point of going out for dinner is avoiding cooking for yourself … but this restaurant might be an exception. 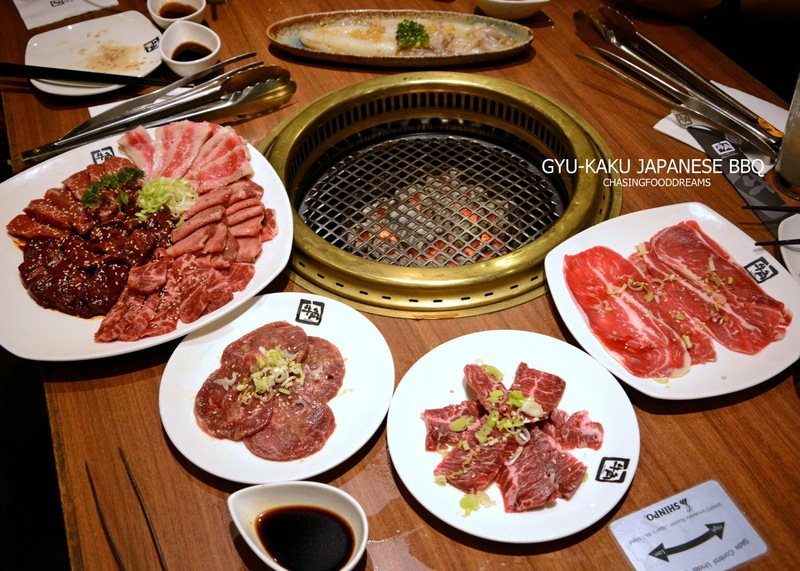 Gyu Kaku offers guest the unqiue and fun experience of cooking your own food on their specially designed in-table bbq’s. Patrons can choose from different cuts and types of meats and veggies to grill. 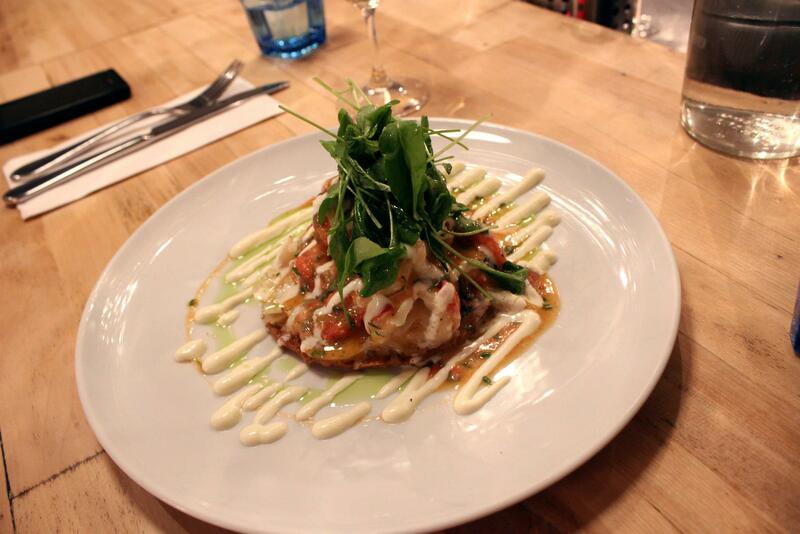 Looking for authentic Spanish tapas? This cozy little restaurant on the West End would be great for date night or sharing with friends. 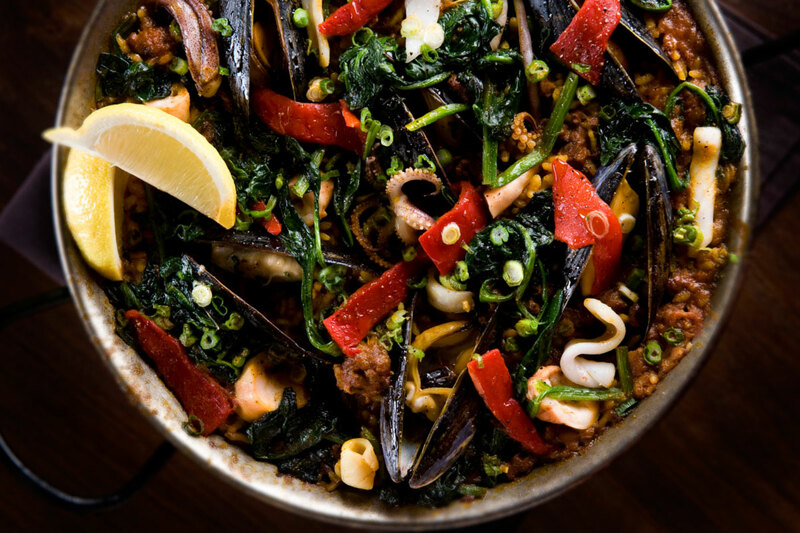 Their menu items include Paella, Roast Pork Belly & Octopus, as well as various cheese and ham plates. Save some space for their desserts – Spanish Churros and Flan. Vancouver has thousands of Sushi places, and while most of them are good, Miku stands out from the rest. This Japanese restaurant with Waterfront views is often regarded as the best gourmet sushi in town. 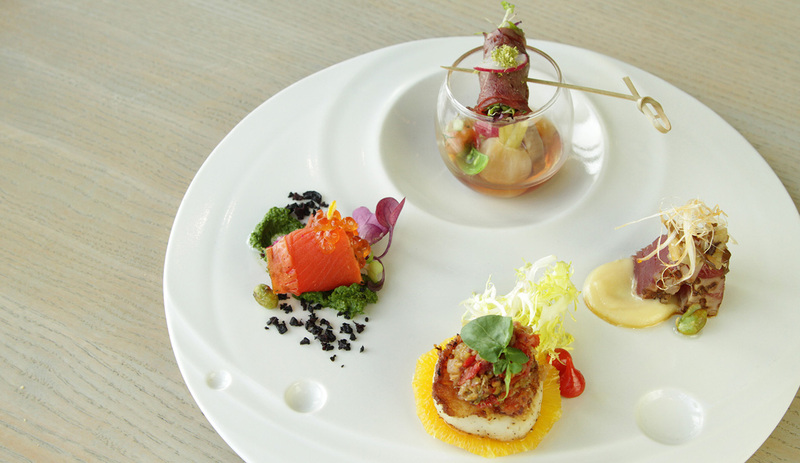 They are famous for their Aburi style sushi and sashimi as well as their artfully decorated plates. 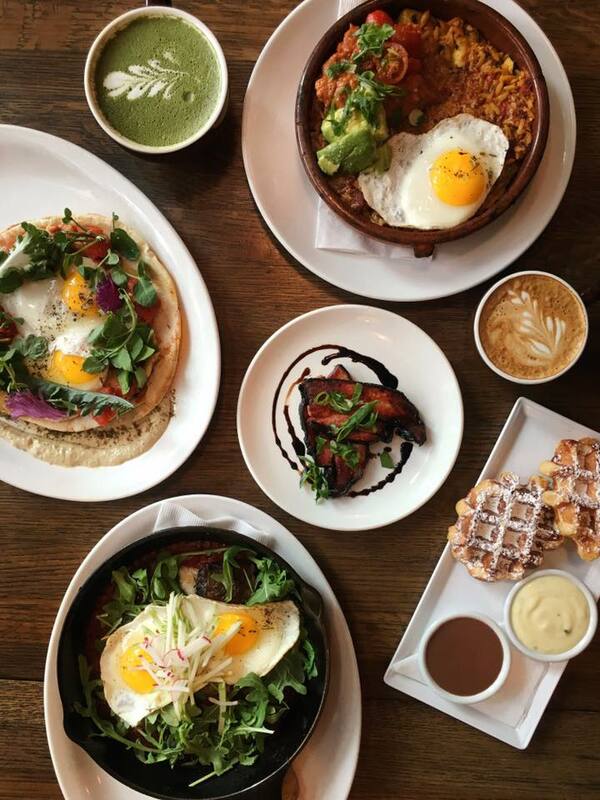 Café Medina might be one of the best brunch spots in Vancouver. Start your morning with a Belgium waffle followed by Mediterranean-inspired dishes such as the breakfast paella with spicy chorizo. It is quite popular so make sure you get there and write your name on the waiting list to avoid waiting in line.